Soda’s Down, But Obesity’s Up. What Gives? 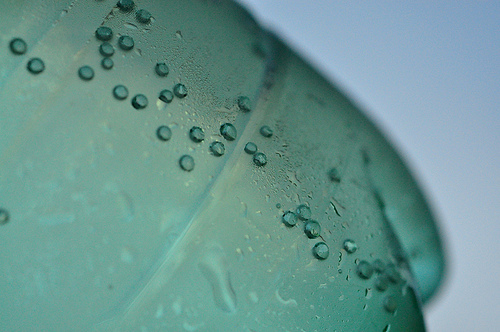 We have a bit of good news and a bit of bad news in the soda-obesity war this week. The good news is that soda’s down. A new paper just published online in Obesity confirms what the industry has been saying for several years now. People are drinking less soda. In fact, they’re drinking less of all sugar-sweetened beverages. But the bad news is that obesity keeps going up anyway. Sara Bleich and colleagues analyzed trends in self-reported beverage consumption across all age groups, based upon NHANES data. They found people are drinking more water. Also, they found that younger children are drinking more milk than sugar-sweetened beverages. The overall declines in beverage calories may help to explain the leveling of obesity in the general population and reductions among young children ages 2 to 5 years. There’s just one problem. Obesity prevalence has not leveled. The latest CDC data says that it’s reached a new high – 39.6% among adults. Nor is it accurate to claim reductions for young children. As the chart above shows, the latest reading shows prevalence continues to grow for young children, too. Bleich et al submitted their paper in June, before the latest data emerged. So their comments reflect the wishful thinking prevalent before CDC published new data in October. Sadly, this is not a simple problem with a simple solution. Consumption of sugary drinks has been declining since the turn of the century. That might be a good thing. But it’s probably not the final answer for reversing the excess of obesity. Real solutions will take more probative research and a willingness to challenge presumptions. If you poke around in obesity-related policy proposals, you will find untested presumptions everywhere. This problem is important. It’s too important to rely on hunches and wishes. We need real science asking hard questions and testing presumptions. Endless fights about soda taxes won’t do the trick. Click here for the study from Bleich et al and here for more from Medscape. For further perspective on declining sugar consumption, click here and here. Researcher comment: Barbara C. Hansen of the University of South Florida said calories, but not high fat, were important. “To suggest that humans and monkeys get fat because of a high-fat diet is not a good suggestion,” she said.